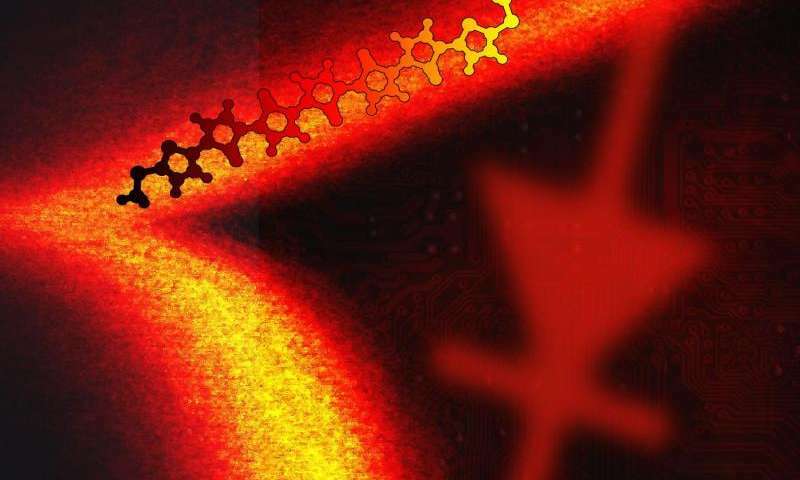 A team at Columbia University School of Engineering designed a new kind of diode comprised of a single molecule capable of halting or releasing current (a diode is basically a valve) that is 50 times better than previous molecular diode attempts. The breakthrough was its novel design: a clever tweaking of the tiny diode’s environment, and not the molecule’s structure itself as previously described. Though the currents involved are genuinely tiny, it might be enough to make this the first molecule-sized diode worthy of real world applications. Other universities and labs around the world also demonstrated working molecular resistors, switches or transistors. Together, all of these form the basis of a new kind of nano-circuitry that’s as miniaturized as it can get. Already, these sort of circuits are plagued by the uncertainties and challenges that follow at the quantum scale. But can we build electronics even smaller than this? it’s unfathomable at this point, but imagination must not succumb. Somewhere, there’s a common ground between fantasy and reality, and who knows what we’ll get. In 1974, Arieh Aviram and Mark Ratner wrote a seminal paper in which they theorized that an electric rectifier – a one way electrical conductor – could be scaled down the molecular level. They also showed that quantum mechanical effects, such as interference, manifest in the conductance properties of molecular junctions. Any diode is asymmetrical in structure, since one end needs to allow current to pass in one direction, while the other end needs to block the current in flowing the opposite or reverse direction. So, scientists naturally designed and synthesized asymmetrical molecules. Latha Venkataraman, associate professor of applied physics at Columbia Engineering, and colleagues tried a different approach. Instead of making the molecular diode itself asymmetrical, they tweaked the symmetry of its environment. Namely, they surrounded the diode in an ionic solution and used gold metal electrodes of different sizes to contact the molecule. This proved to be a lot more effective given they achieved rectification ratios up to 250, which means the “on” current was 250 times that of the “off” current. Of course, the “on” current was quite small – only 0.1 microamps. This might not seem like much, but it’s quite a lot of current flowing through a single molecule and up to 50 times more than any other molecular diode devised so far. The findings were reported in Nature Nanotechnology. The manufacturing method is rather crude and simple, which is a good thing. It means that it could easily be implemented with existing nanotech and is easy to replicate by other groups. Next, the group plans to get a better grasp of the physics behind the tiny diode and also enhance the rectification ratio.